1:05 PM PT -- ﻿Law enforcement sources tell TMZ, April has received at least 2 serious threats. The first one came in September ... someone emailed her and said, "Your not black. Your a loser with a big mouth that need slapped. If I ever see you, you're slap is coming. Go eat more s***." The other came last month. April got a letter from a guy who claimed to be an ex-Army Ranger. He said, "I know who you are; what you look like; where you work; where you live, and what you drive ... so I think I'll pay you a visit soon. Trust me -- it will be the worst day of your life!" 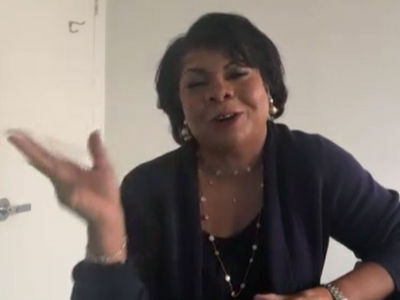 April Ryan has security to protect her from the crazies who might actually view her as an "enemy of the people" ... after a series of verbal attacks by President Donald Trump. 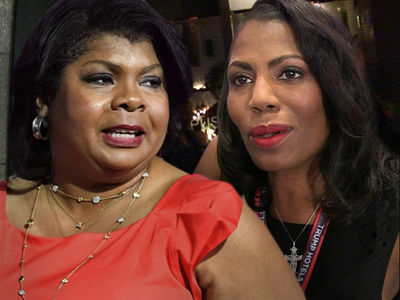 April appeared Thursday on "TMZ Live," and we asked if she was receiving death threats after Trump rudely told her to sit down when she tried asking a question about voter suppression. It's the latest Trump attack against the American Urban Radio Networks Correspondent. April didn't want to talk about specific threats, but made it clear she has a security team in place, which seems to be a reality of life for White House Correspondents who raise the President's ire. Ryan made it clear ... she doesn't live in fear and will not back down ... but she's clearly taking precautions.